I posted this on the other forums I participate on and have got some good replys. Post some pictures of your personal collections. I will have an updated picture by Wednesday as I am waiting for a delivery tomorrow or Tuesday. I can't wait to see the responces and hopefully everyone will have some fun with this. 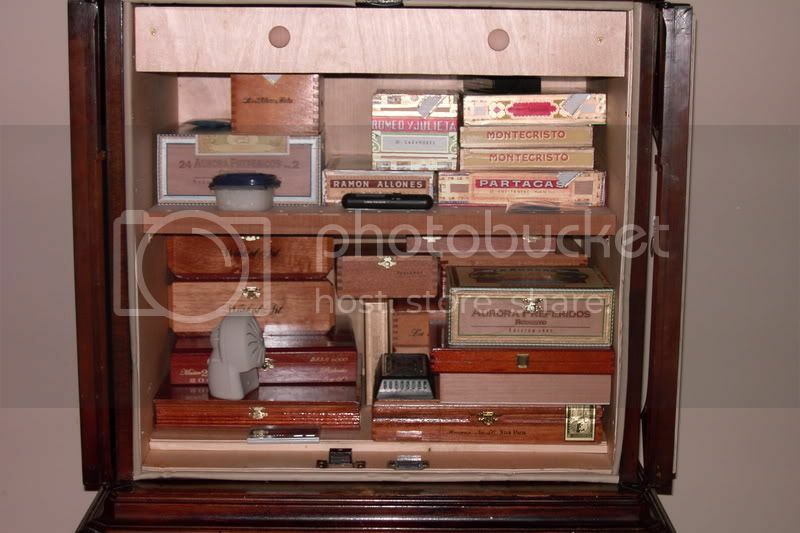 I think it is great to see other collections and how people keep there prized positions. I've only been at this for about a year. 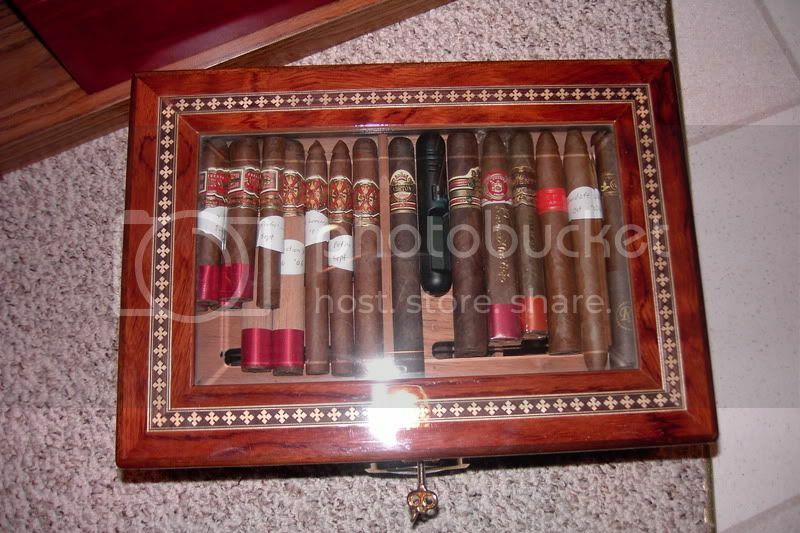 Here's my finished home built humidor with about 90% of the cigars I own. » how people keep there prized positions. Don't be shy fellas. Get them pics up. » Don't be shy fellas. Get them pics up. » » Don't be shy fellas. Get them pics up. As long as it is under 1.5 Mb you can upload it on http://imageshack.us/ and simply link here. Here's mine. It's still a work in progress though. Older pic now has doubled +.. There we go. Keep em coming. The more the better. Very nice so far. 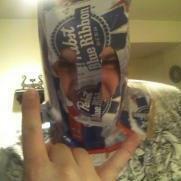 Jimmy get an updated pic if you can. Also, which is your most prized box in your collection? You want updated pics? That was about 3 months ago, gimme a few and I'll post an updated one. » Older pic now has doubled +..
Why are some of the boxes inside of plastic bags? Just curious!!! 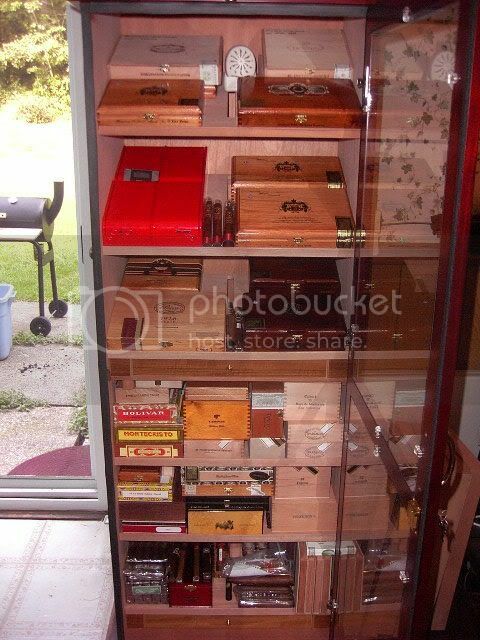 In the summer sometimes the humidty goes up to 70 to 73 so i use the bags to keep it out. Since I have a little Christmas present to myself coming and it might be a week or so late, I'll post a picture after it arrives and I have it stocked up with what I currently have on hand. Location:Shootin' fish in a barrel. » stocked up with what I currently have on hand. » Aristocrat THC Plus 48? Bit the bullet huh Chuck? Im loving my Aristocrat MxTHC...and the cooling takes all the worry away being in Florida. 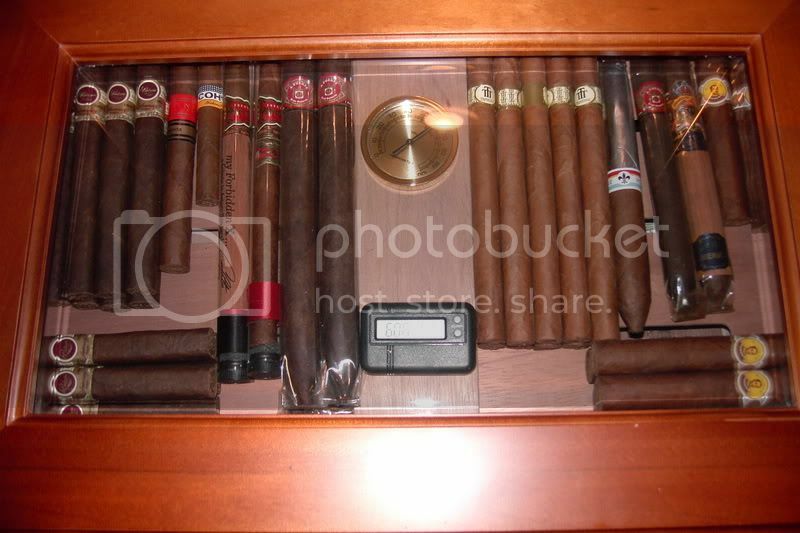 Not too bad yet, I've been trying to keep my cigar budget in check ;-) !!! Any forum limitations I should be aware of? Contest is over folks. Claudius wins! Claudias, can we get a view from further back to see the entire cabinet or whatever that is? Sweet Fancy Moses! That's a big 'un. Claudius how did you get the Juan Lopez RR's ?? » Claudius how did you get the Juan Lopez RR's ?? The same way I got the Libertadores next to them: I called a French cigar shop, ordered them and then drove to France and bought them. 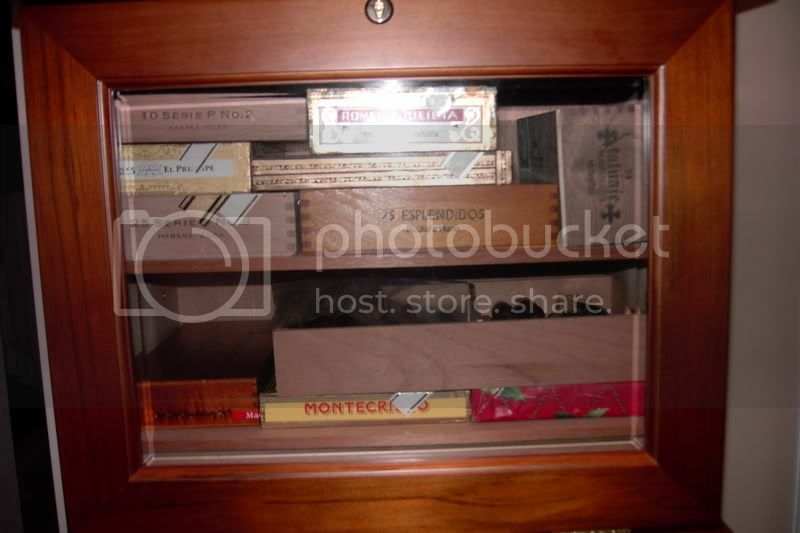 (French tobacconists make 6% on cigars so they dont have any stock, only a few singles and a box of Montes or so). BTW that ridiculous margin is also the reason no French shop will sell you cigars other than over the counter (in addition to shipping tobacco being illegal in France). No, but I live very close.